The best champagnes weave complex layers of flavors into one unforgettable sip. Impress your friends with a bottle of champagne they won't soon forget. Your recipient will receive a bottle of bold Bollinger Special Cuvee Brut Champagne (750 ml) that expertly blends rich flavors of blackberry tart, lemon parfait, and toasted almond together. 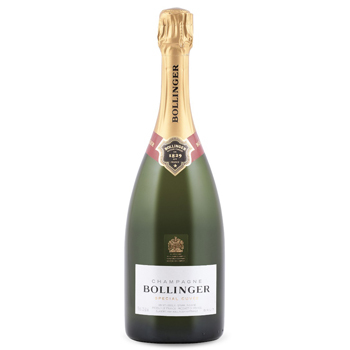 Say Happy Birthday, celebrate a merger, or send your congratulations with Bollinger Special.